Sydney is not here for Wilton's sass. 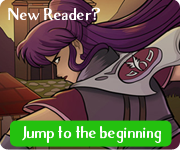 Some fine-quality SpiderForest Comics of the Week once more! Let's dig in! First up is Retroblade! 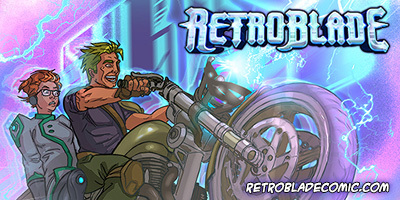 Retroblade is an amazing comic I've done a few filler comics for now. It follows Axel and his time-traveling motorcycle as he tries to make his way backwards from a doomed future to find the people who can help him save it. And you know, not get murdered by time ninjas or his bike stolen by children. 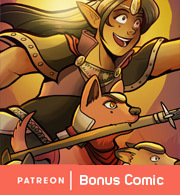 Freya's work is equal parts gorgeous and hilarious and if you like Sombulus, I think you'll like Retroblade too! 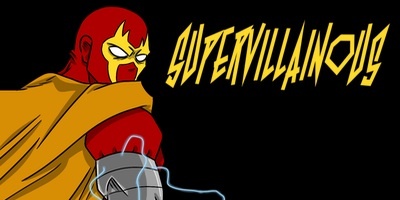 Supervillainous is a fun twist on the typical supervillain's story, following The Crimson Claw and his two kids as he simultaneously tries to take over the world and be the best dad ever. Give it a read!